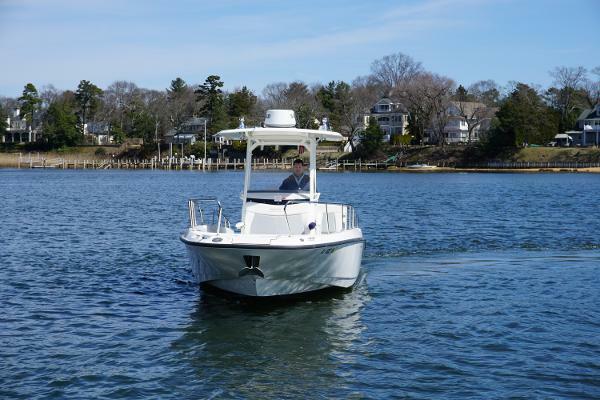 The 270 Dauntless transitions seamlessly from a robust angler boat to a recreational cruiser at a moment's notice. 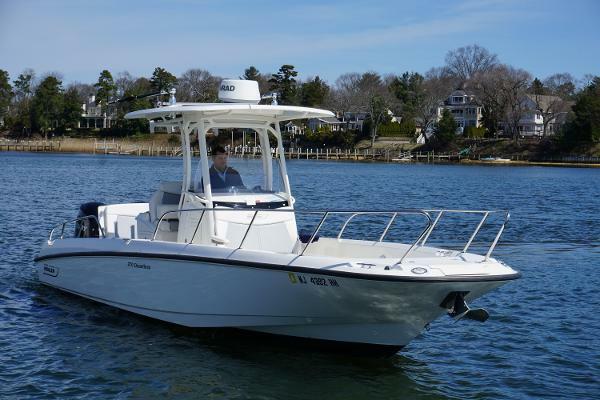 Dedicated fishermen will thrill to the optional deluxe leaning post with livewell, rod holders, sink and cooler. Watersports buffs will beam at the opportunity to shred wake on skis and wakeboards from behind the optional All-Activity Tower. 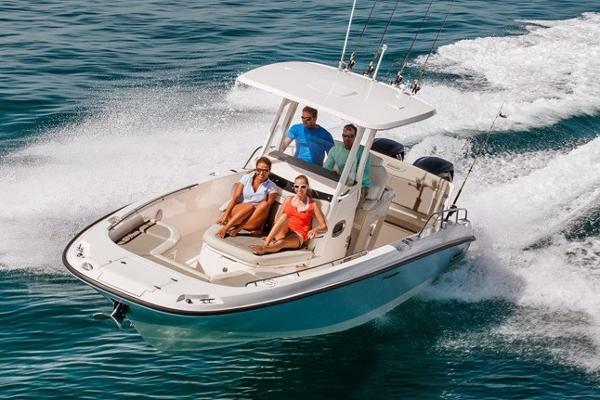 The optional dual Mercury Verado FourStroke outboards with power steering up the ante for every recreational outing. 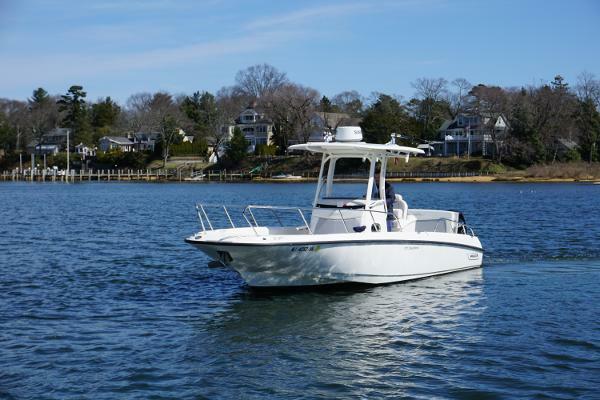 And if you and your crew want to cruise and lounge leisurely, then port and starboard forward seats with folding backrests and a hinged aft bench with a reclined backrest provide luxury comfort for everyone. 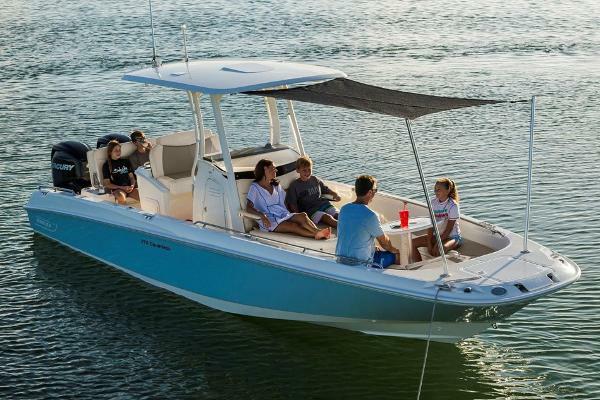 With deep storage compartments underneath the wraparound bow seating, you can bring all the gear you need to your favorite wakeboarding site or your best offshore fishing spot. 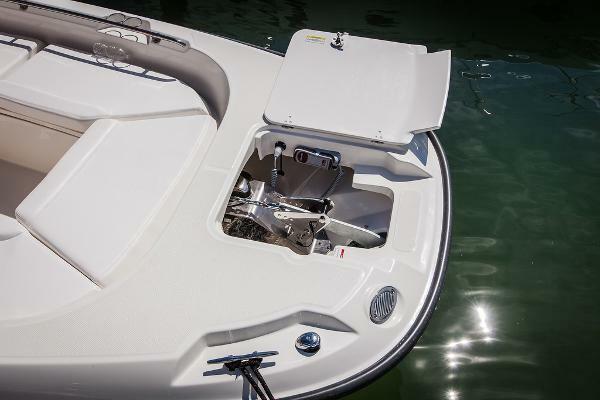 Truly, the 270 Dauntless is the only boat your family will ever need.